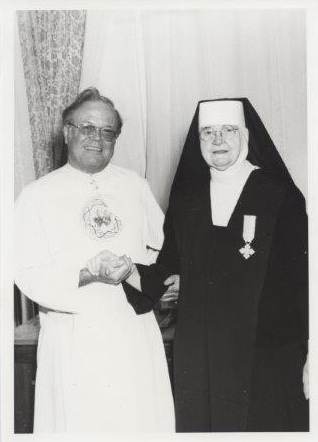 For almost 20 years, Father Eugene Robitaille was associated with the Carmelite Sisters in their Formation Program, and he was the Chaplain at St. Teresa’s Motherhouse. 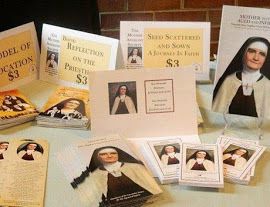 Father Robitaille’s connection with Venerable Mary Angeline Teresa went back to the early days of his priesthood as Novice Master in Fairhaven, Massachusetts. Father Eugene was devoted to Mother Angeline, and she in turn, found him a truly dedicated priest who was ever available for the spiritual needs of the Sisters. Thirty years ago on May 15, 1988, Father Eugene Robitaille, Promoter for the Cause of Venerable Mary Angeline Teresa, passed away. As a Promoter of Mother’s Cause, Father worked diligently, traveled extensively, collected data, and visited the Carmelite homes to give talks on the life and dedication of Mother Angeline. The Teresian Society was Father Eugene’s brainchild. In May 1986, Father Eugene presented Bishop Howard Hubbard, D.D. the idea of forming the Society, and it was approved. The purpose of the Society was to seek prayerful support of the members for the promotion of the Cause. He never forgot to include the members of the Teresian Society during Mass, with the Intercessions after the Gospel, and each month Father would announce Masses for all the members. It was his earnest wish that Father Jude Mead, C.P., S.T.D, L.L.D. take over after God called him home, and Bishop Hubbard made the appointment in 1988. 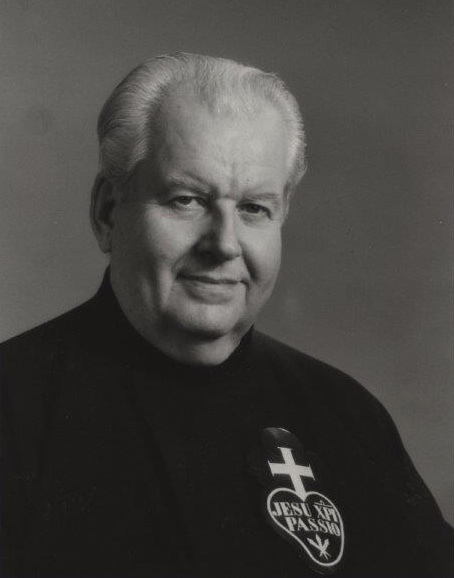 Father Jude Mead, a Passionist priest, was recognized internationally as a preacher for the clergy, women and men religious, and the laity. He authored eight books before writing a biography of Mother Angelina, entitled Daughter of Carmel. In this book Mother Angeline’s faith, leadership, reverence for human dignity, and individual needs of the elderly are chronicled. Father Jude served faithfully as the first postulator of Mother’s Cause. He labored unceasingly in researching and working on what was for him a labor of love for his longtime friend, Venerable Mary Angeline Teresa, until his death in May 23, 1992.